This case study is part of MANP’s Stories of Impact series, highlighting the many ways Maine’s nonprofits are essential to a strong and healthy Maine. 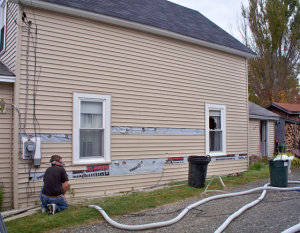 The average home in Maine uses 900 gallons of heating oil per year. A weatherized home saves, on average, 198 gallons per year, a number that can make or break a household budget. Yet making homes energy efficient is a difficult or even impossible task for low-income households, despite the many rewards of doing so. The Charlotte White Center (CWC), is a nonprofit with a long history of providing support for adults, children, and families affected by intellectual or developmental disabilities, behavioral or mental health challenges, domestic violence, cerebral palsy, or acquired brain injuries. CWC took their mission to “provide quality community health…” to heart when they took a lead role in weatherizing not only their own residential facilities, but also other low-income households in the community to provide healthy, affordable, energy-efficient places to live. Within the context of shrinking state and federal funds, CWC’s leadership and Board created a Strategic Plan with an entrepreneurial “triple bottom line” tactic to support its mission by creating new revenue sources and also creating new jobs. One venture was the Highland Home Weatherization program, an effort to reduce energy costs at its thirty residential sites and office locations, while providing energy audits and weatherization services in the community. Investing its own resources, CWC put its Facilities Management staff through Weatherization Technician and/or Building Performance Institute Energy Auditor training in 2009. 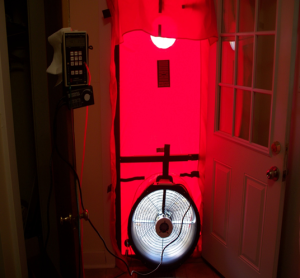 They purchased state-of-the-art auditing equipment to identify energy efficiency problems and installed weatherization renovations to effectively remediate them. CWC also partnered with the town of Dover-Foxcroft to obtain a Community Development Block Grant Housing Assistance Grant that provided materials for weatherizing housing for low income residents with disabilities and weatherizing homes owned by low income homeowners. Additionally, CWC was among several bidders that won contracts through the Penquis LiHEAP program. Penquis operates the program to serve the region’s eligible low income households. Homes were weatherized in the Bangor area, and Penobscot and Piscataquis counties. Weatherized, installed energy efficient windows and/or handicapped accessibility renovations to more than 114 homes owned by low-income households in CWC’s service area. The majority of handicapped renovations served households owned by senior citizens. Reduced heating oil usage by an average of 198 gallons per year for each weatherized home, a significant environmental, as well as economic, impact. Benefitted from an average annual savings of 25% in fuel costs, approximately $20,000 per year. CWC created two new permanent jobs for previously unemployed workers, both of which are still positions at the CWC. The creativity and innovation of CWC, and its collaboration with public and non-profit partners, has resulted in substantial economic results. In a rural community with a high unemployment rate, every dollar matters. These efforts resulted in job creation, community improvement, and economic growth in the region, with every dollar attracted being invested back in the community. The collaboration strengthened communities by eliminating blighted housing conditions and creating more affordable, energy efficient housing that improves the region’s economic health. Weatherization in those homes pays dividends every year, through affordable heating and energy bills, and more comfortable and healthy homes. The housing improvements done by the CWC’s weatherization contractors became a visible indicator of the community’s economic health, a factor in attracting new residents and businesses to the area. Well-maintained, good quality housing makes people and businesses want to settle in the community, which further adds to its economic stability. Homes weatherized by CWC, Penquis, LIHEAP, and the CDBG Housing Assistance Program benefit low-income residents, who have little money to spend on things other than basic needs. Savings from lower heating bills can be spent supporting local businesses instead. For more information about Charlotte White Center, visit their website at www.charlottewhitecenter.org.